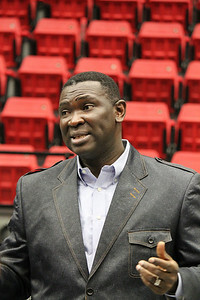 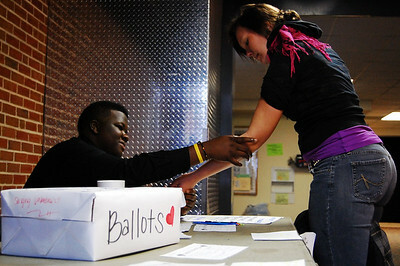 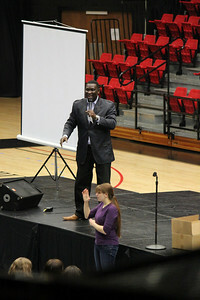 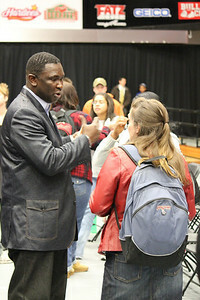 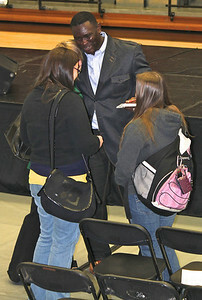 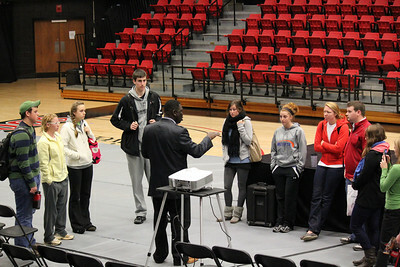 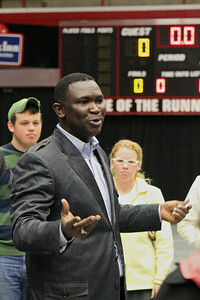 Smaratan's Feet founder Manny Ohonme speaks to GWU athletes after Dimensions on Tuesday, February 1, 2011. 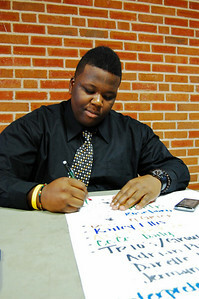 The Student Athelete Advisory Committee donated over 1,000 pairs of shoes to the ministry. 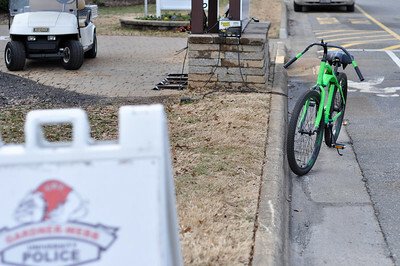 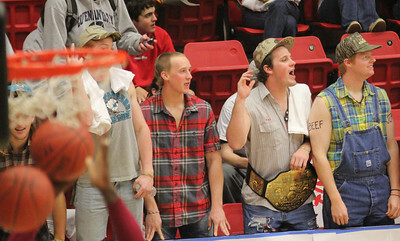 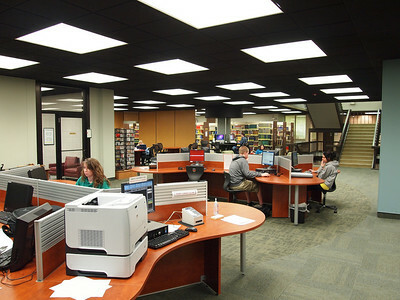 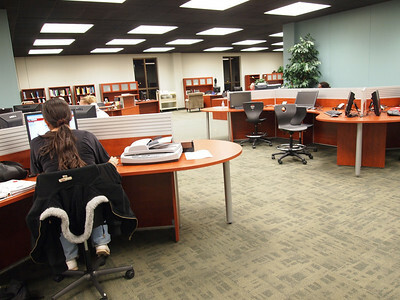 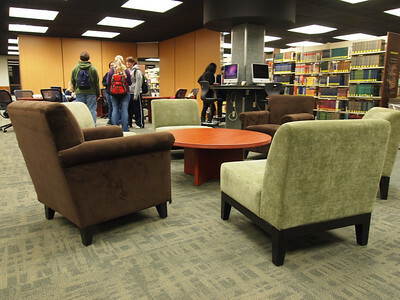 Students at Gardner-Webb react to the starting lineup of the Winthrop Men's Basketball team. 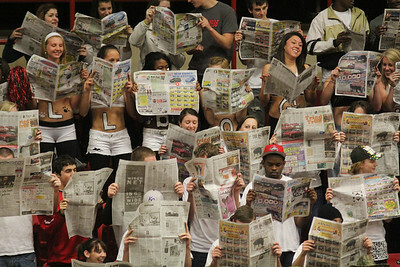 The Holtmanniacs heckle fans from the Winthrop side. 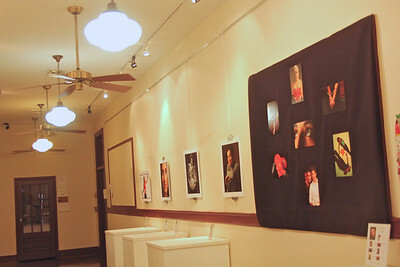 Student photo show at GWU. 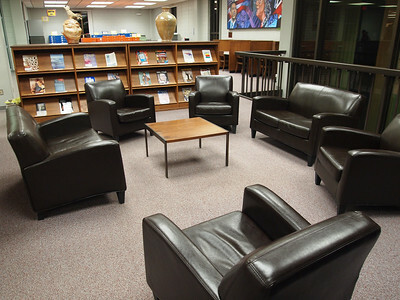 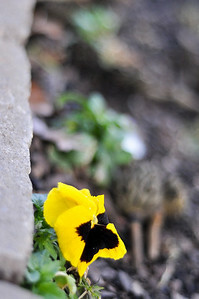 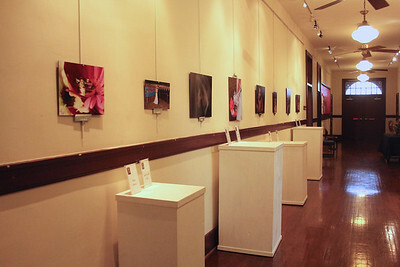 The student photo show is being displayed in CSH. 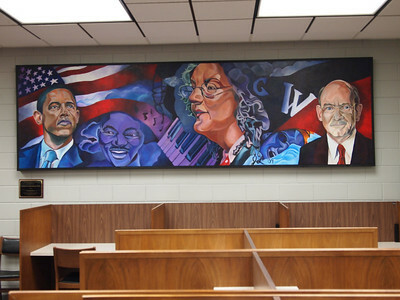 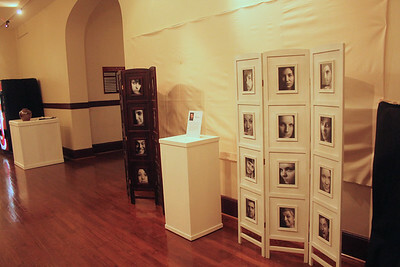 Some of the photos featured in the student show at Gardner-Webb. Friends share an umbrella on a cold, rainy day at GWU. 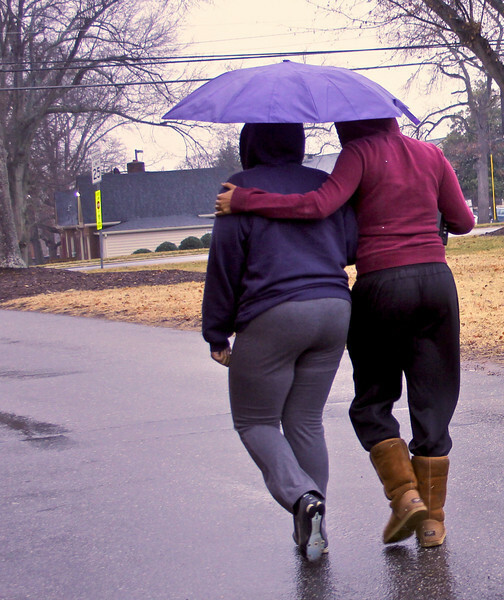 Chad Roseboro lends a helping hand to friend, Rebecca Pinckney. 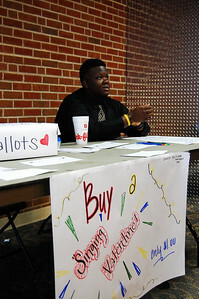 Chad Roseboro manages the table for the Gospel Choir's "Singing Valentine" Fundraiser. 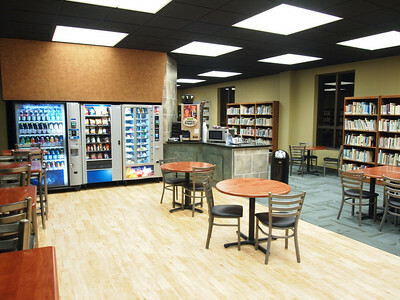 Laundry room on a friday is normally packed with students in their last minute preparation to leave for the weekend. 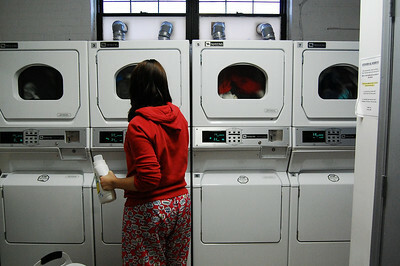 Typical for a college student on a rainy day, Hannah Rolen checks the settings for her laundry. 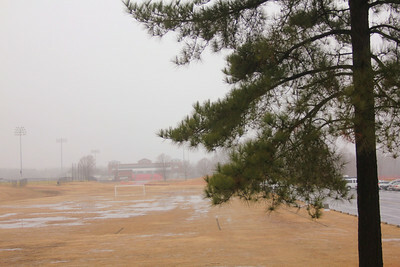 A dreary day on the campus of GWU. 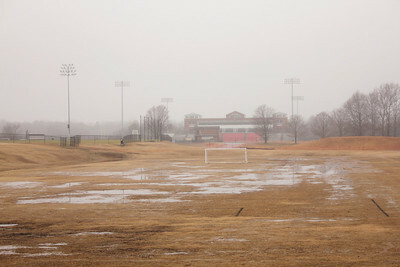 The practice field turned into a lake overnight at GWU. 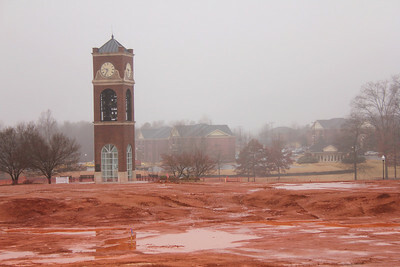 Red clay and water do not mix.